Tokyo, December 1, 2016 – Fuji Heavy Industries Ltd., the manufacturer of Subaru automobiles, will exhibit at “EcoPro 2016 – International Exhibition on Environment and Energy“, one of the largest environmental exhibitions in Japan, to be held at Tokyo Big Sight on December 8–10. This is the eighth time Subaru has participated in the exhibition. 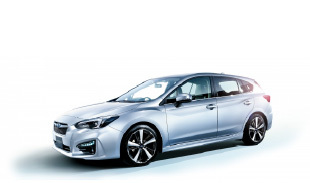 This year’s Subaru exhibits include the all-new Subaru Impreza model launched on October 25 in Japan. Also featured will be displays on the reuse of tires reclaimed from Subaru dealerships as paving materials, reuse of waste oil recovered during oil changes as recycled fuel for greenhouse heating, environmental protection activities at overseas subsidiaries, and other initiatives showcasing the Company’s environmental stewardship. The “eco-car test ride” will give visitors a chance to experience the excellent visibility and superior quality of the Impreza model. Waste oil recovered during oil changes at Subaru dealerships throughout Japan is recycled as fuel oil. Displays will outline an initiative to reuse the oil for heating greenhouses where flowers are grown. 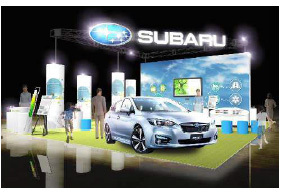 Displays will describe Subaru of America’s efforts to reduce landfill waste from national parks and Subaru of China’s activities aimed at preserving biodiversity in nature conservation areas. Based on the Subaru Global Platform, the all-new Subaru Impreza aims to offer the utmost “Enjoyment and Peace of Mind” experience to all drivers and passengers with an array of new technologies that greatly enhance all-around safety and dynamic and static quality, laying the foundations for the next generation of Subaru vehicles. The Impreza in Japan is equipped as standard with Subaru’s EyeSight driver assist system and a pedestrian protection airbag in the aim of achieving zero fatal traffic accidents. Direct fuel injection improves fuel efficiency, boosting output while reducing fuel consumption. EcoPro: Started as “Eco-Products” in 1999, it is an annual exhibition which features environmental products and solutions, environmental and energy technologies, and environmental and CSR initiatives.